The audio sample and visual sample is of duets No.1, No. 37 and No. 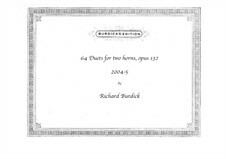 56; just three of the 64 duets.